View More In Virtual Instruments. THE King of 128-step Analog Sequencer ROLAND JX3P - Large, unique Original Samples Studio Library 2.3GB over 3,700 objects & elements - 24bit Multi-Layer WAVEs (WAV.) and KONTAKT (NKI.) 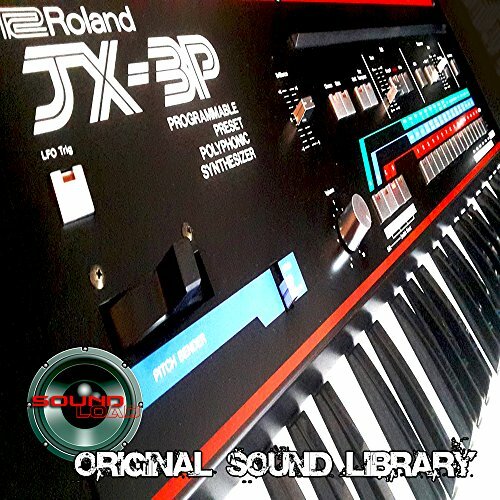 Samples/Loops on DVD or for download; if you prefer to save time and download your purchase, please let us know; THE Legendary Roland JX3P analog sounds: leads, pads, bass, brass, mono & poly, fx... Roland JX3P Analog Sequencers Loops and phrase, Analog Strings, Analog Brass, Analog Bass; >>>>>>>>>> All the Samples are compatible with any PC/Mac Music Software/Plug-In`s, Music Sequencer/Sampler/Hard ware Synths, that support WAVES/AUDIO Files. >>>>>>>>>> We offer a HUGE unique studio collection of hard to find, very rare instruments and sounds, production kits, ethnic instruments and sounds, loops and grooves and many other TOOLS for successful and quality work, music composing and creating, pre/post production. All original samples in WAVEs format, single and multi-layer, mapped and ready for download and work. THE King of 128-step Analog Sequencer ROLAND JX3P - Large, unique Original Samples Studio Library 2.3GB over 3,700 objects & elements - 24bit Multi-Layer WAVEs (WAV.) and KONTAKT (NKI.) Samples/Loops on DVD or for download; if you prefer to save time and download your purchase, please let us know!